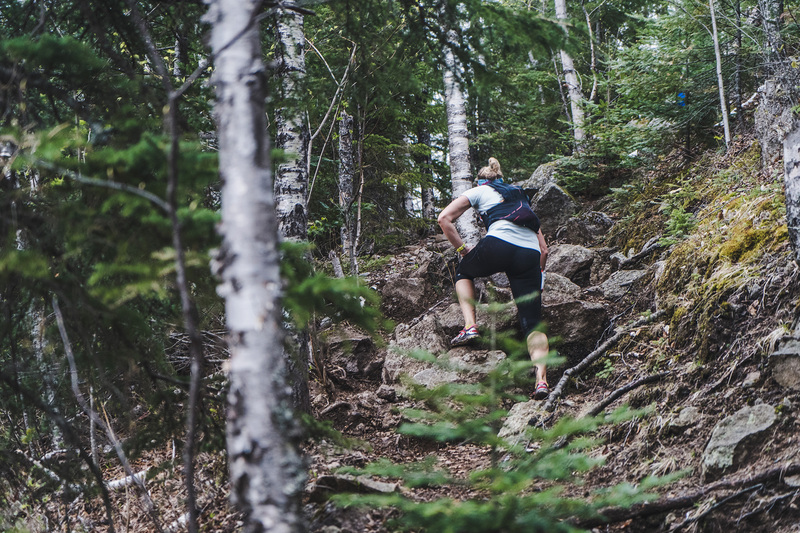 The Superior Spring Trail Race was founded in 2003 as a companion event to the longer running Superior 100 Mile Trail Race / Superior Fall Trail Race which was founded in 1991 and is the 9th oldest 100 mile race in the country. The North Shore of Lake Superior runs from Duluth, Minnesota at the Southwestern end of the lake, to Thunder Bay and Nipigon, Ontario, Canada, in the North to Sault Ste. Marie, Ontario, in the east. The shore is characterized by alternating rocky cliffs and cobblestone beaches, with rolling hills and ridges covered in boreal forest inland from the lake, through which scenic rivers and waterfalls descend as they flow to Lake Superior. The shoreline between the city of Duluth to the international border at Grand Portage as the North Shore. Lake Superior is considered the largest freshwater lake in the world by surface area. It is the world’s third-largest freshwater lake by volume and the largest by volume in North America. The Superior Hiking Trail, also known as the SHT, is a 310+ mile long distance hiking single-track hiking trail in Northeastern Minnesota that follows the ridgeline overlooking Lake Superior for most of its length. The trail travels through forests of birch, aspen, pine, fir, and cedar. Hikers and runners enjoy views of boreal forests, the Sawtooth Mountains, babbling brooks, rushing waterfalls, and abundant wildlife. The lowest point on the trail is 602 feet above sea level and the highest point is 1,829 feet above sea level.